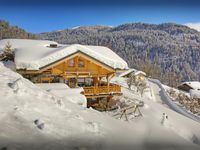 Property 57: CHALET "the MARMOTTES"
Traditional chalet, sunny plateau, stunning views. 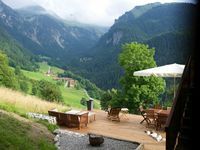 Property 74: Traditional chalet, sunny plateau, stunning views. Individual chalet 10 pers, departure rando, foot of the tracks. Property 77: Individual chalet 10 pers, departure rando, foot of the tracks. MANIGOD SLEEPS 10, GREAT VALUE SPECIAL OFFER IN AUGUST DUE TO CANCELLATION! Property 99: MANIGOD SLEEPS 10, GREAT VALUE SPECIAL OFFER IN AUGUST DUE TO CANCELLATION! We really enjoyed our stay and we recommand this rental The most: The chalet is very comfortable, well equipped. The bed linen are comfortable and warm. The view is amazing. The chalet is very appropriated for family with its 3 bedrooms at the first floor. The check in and then check out are very easy, convenient and quick. It's easy to join Clive if any problem. The cons: The chalet is isolated and the access can be difficult in case of snow (can be a most !). The mattresses of the double beds are not comfortable as well as the quilted bench to watch TV. In the apartment, there were huge fuel smell and the fridge is really too noisy. The dishes were not clean and the chimney uncleaned. Fantastic house, the best chalet ever ! A fantastic ski area. It was a marvellous week. Good company, good food, good weather and an amazing house. I hope to share it with you my lovely friends again. I suggest everybody to stay in this great chalet . Thanks Pierre for your hospitality. We really enjoyed our stay!